I'm happy to let you know about DueDil's Series B funding round, which we announced today. We've just raised a $17m round led by Oak Investment Partners alongside our other existing investors including Notion Capital and Passion Capital. This brings our funding total to just over $22m. We've all been hard at work since we closed our first funding round last year. The company and product are growing at remarkable speeds and this new investment will help develop our vision of real-time decision intelligence, whilst expanding our coverage to new geographies. 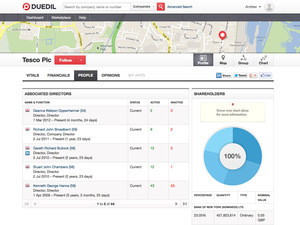 DueDil is the next generation business information service. By linking multiple sources of business information we allow you to understand who you are doing business with, and who you want to be doing business with. DueDil, the business discovery platform, today announced it has completed its Series B financing round, led by Oak Investment Partners, which has increased its commitment to the London-based company. The funding round was also supported by existing investors Notion Capital and Passion Capital. With its new investment, Oak Investment Partners will take a seat on the DueDil board, alongside existing board members. This latest funding follows the company’s Series A financing in April 2013, and brings total investment in DueDil to $22m over the past 10 months. The new capital will be used to increase DueDil’s user acquisition activity; deepen user engagement through new personalisation, discovery and network tools; and bring DueDil’s web coverage to new geographies. Customers can currently access information on companies and directors in 22 different countries via the DueDil API. Already the largest source of private company information in the UK and Ireland, DueDil has democratised and transformed the business information sector by enabling any individual or business to access up-to-date information on all companies and directors. Doubled in size since the Series A round and is expected to double again in the next 12 months. Seen consistent growth in its blue-chip Enterprise customer base, including among most of the FTSE 100. Launched the v2 DueDil and International API in May 2013, with the v3 API due for release later this month (March 2014). Been named among Wired magazine’s ten hottest London startups; featured in Forbes’ “Britain’s Six Best Financial Technology Businesses” and in the 2013 & 2014 FinTech 50; listed as a Rising Star in the Salesforce Innovation Challenge 2014. DueDil is one of London's most exciting and disruptive startups. 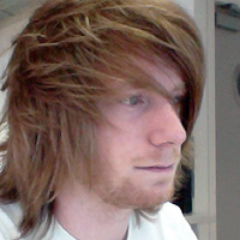 I was an early employee of DueDil and worked there until April 2014. 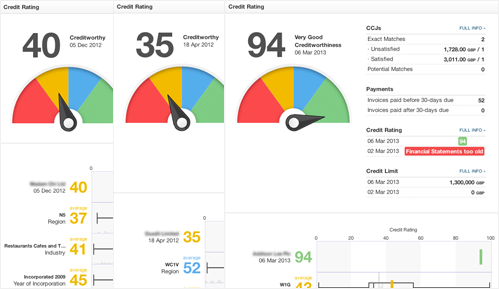 Whether finding new leads, credit checking suppliers or researching the competition, DueDil has you covered.